The Road Roar (RR) is one of the activities developed by the Superbike Clubs Association of Nigeria as a means to acknowledge and reward motorcyclists who engage in riding while promoting safety, a healthy mutual understanding amongst riders, as well as helping to change the negative perception usually associated with the motorcycling sport and motorcyclists. 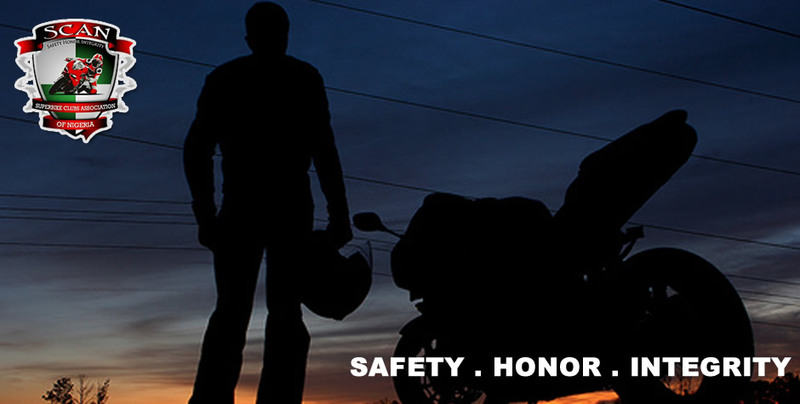 To serve as an avenue to recognize and reward bikers for their riding experiences. To serve as a means to recognize and reward commitment to the advancement of motorcycling in Nigeria. To serve as a symbol of brotherhood and patriotism, as participants ride through different cities in Nigeria engaging in acts of charity, appreciating, discovering and reveling in the beauty and diversity of the Nigerian landscape. To provide a unique platform to experience adventure, tourism, and culture. DURATION: The Road Roar is a five-day event. The Road Roar has a START point and an END point. Every edition of the Road Roar will consist of five designated stop points (END Point inclusive) with the last point being the END point which will usually be the venue for “The Gathering Event”. Participants have the option to join the Road Roar at the start point or any of the four designated points. The RR is open to everyone irrespective of affiliations or nationalities. All participants must possess the necessary documents to ride a super bike on Nigerian roads and must agree to conform to the Nigerian Highway Code. Two SCAN 3D premium stickers and a SCAN “sew on” patch at their Road Roar entry point. Stars based on their points of entry into the RR. A Certificate of Participation in recognition of the RR Riders’ efforts, sacrifices and accomplishments. Anyone with a medical or physical challenge is required to indicate so in the registration form, so proper provisions can be made in any case of emergency. During the RR, participants must conform to the Nigerian Highway Code and obey all traffic rules and regulations. Alcohol intake or use during the daily RR runs is strictly prohibited, and offenders could be prohibited from participating in the RR. Participants should ensure that their bikes are in good condition. Breakdowns or other unscheduled events will be handled by the participant/s involved. The organizers do not accept any liability at such times. If for any reason, a participant feels uncomfortable or unsafe being a part of the RR, it is advisable that he or she drops out. RR participants will be broken into groups of ten to make it easier to track everyone or as directed by the RR Team lead. The Staggered Riding Formation will be used, as this provides a sufficient space cushion between group members. The Single File Formation will be used on curved roads, or in areas with poor visibility. Side-by-Side Formations should be avoided as much as is safe to. The distance between participants within the same group should be at least two seconds. While riding, participants should check their side mirrors periodically to make sure that no one is falling behind. If you see another participant in your group falling back, you may slow down to allow him/her catch up. Never allow anyone get separated from the group unless previously agreed. All participants should be familiar with the hand signals and what they mean. It is the responsibility of all riders to pass signals from the Road Captain to following riders. Riders should signal the Road Captain if they need to pull over for an emergency by flashing their lights. Other riders are responsible for passing this signal forward until the Road Captain acknowledges it.